Shrimp prices in the Mekong Delta’s Tra Vinh Province have been brought down despite its shortage and local farmers and officials have suspected that shrimp dealers and processors’ manipulation is involved. Nguyen Minh Duc, a local farmer in Tra Vinh Province, just harvested more than eight tons of shrimps without earning the expected profit of VND140 million (US$6,700). “The prices have dropped by VND15,000-20,000 a kilogram from early August,” Duc said. He said the falling prices would cost shrimp farmers in his commune billion dongs of loss. Duc’s neighbor Nguyen Van Tham shared the feelings. Tham was upset about the low prices, as 20 days earlier he was offered by dealers the record high prices of between VND245,000. 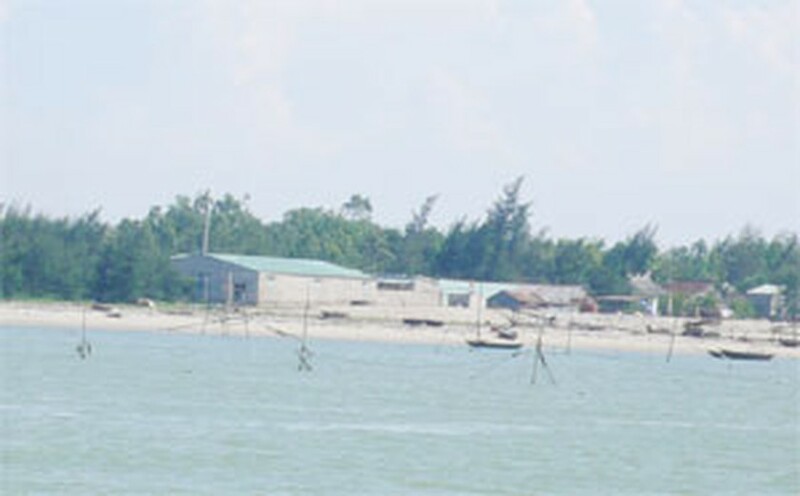 Duong Tan Dom, official from Cau Ngang District Agriculture and Rural Development office, said the district farmers have harvested 7,500 tons of shrimp this season, which means they are going to lose tens of billion dongs of profit. Local farmers and authorities said that shrimp dealers and processing factories are buying shrimps in the province at prices lower than in nearby provinces by between VND5,000 and VND10,000 a kilogram. In related news, the government from the delta’s Soc Trang Province on Thursday announced a disease on the province’s bred shrimps. The disease, which was reported first from Soc Trang nationwide, appears on shrimps being bred between 20 and 35 days, causing necrosis to shrimp’s liver and pancreas. Soc Trang’s agriculture authorities have banned the transport of shrimps to and from the province before the shrimps are checked as healthy. Earlier this year, a disease around the delta killed a lot of shrimps in the region with Soc Trang the hardest hit province, having shrimps at more than 76 percent of local farm area killed.